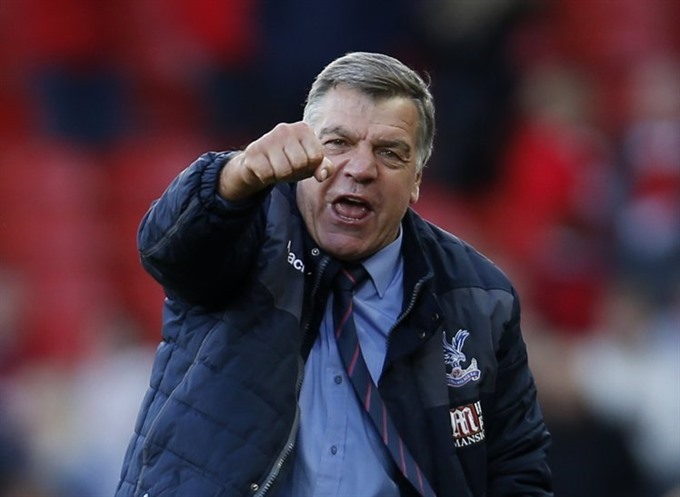 LONDON — Sam Allardyce announced on Tuesday he was stepping down as Crystal Palace manager after just five months at the helm of the Premier League club for family reasons. The 62-year-old, who was previously in charge of England for just one game, said he had "no ambitions to take another job", admitting he was turning his back on a club that had offered him a "chance of rehabilitation". Allardyce took over at Palace from Alan Pardew in December on a two-and-a-half year deal and led the Eagles to eight wins in 21 games. They finished 14th in the league. "In some ways, this has been a very difficult decision to make, but in others it has been a simple one," Allardyce said in a statement following talks with club chairman Steve Parish. "More than that, they gave me a chance of rebuilding my reputation after what happened with England. I felt I needed another shot at being a Premier League manager and showing that I still had the ability to achieve something significant. As I said last weekend, Palace gave me the chance of rehabilitation." Allardyce lost his job as England manager following a newspaper sting. His reign lasted just 67 days and took in one away game. The England job was the pinnacle of a long career in management that saw Allardyce previously take charge of Bolton, West Ham, Newcastle and Sunderland. But it ended as a fiasco following ill-advised remarks to undercover journalists. Allardyce gave advice on how to circumnavigate transfer rules, criticized the FA’s decision to rebuild Wembley and mocked his England predecessor Roy Hodgson while being secretly filmed by reporters from The Daily Telegraph posing as East Asian businessmen. Allardyce said his reason to depart Palace had been principally to spend more time with his family. "It’s been a privilege to have worked for them for the past five months. But there comes a time when you have to take stock of what direction you want your life to take - and that’s been the simple part for me," he said. "I want to be able to savour life while I’m still relatively young and when I’m still relatively healthy, even if I’m beginning to feel all my 62 years. "While I’ve got the energy, I want to travel and also spend more time with my family and grandchildren without the huge pressure that comes with being a football manager. I owe that to my wife and family. "This is the right time for me, I know that in my heart. I have no ambitions to take another job, I simply want to be able to enjoy all the things you cannot really enjoy with the 24/7 demands of managing any football club, let alone one in the Premier League." Allardyce added: "Steve Parish has been superb during our conversations today. I know it came as a shock to him that I would walk away but our discussions have been incredibly civilised with no recriminations and no fall-out.